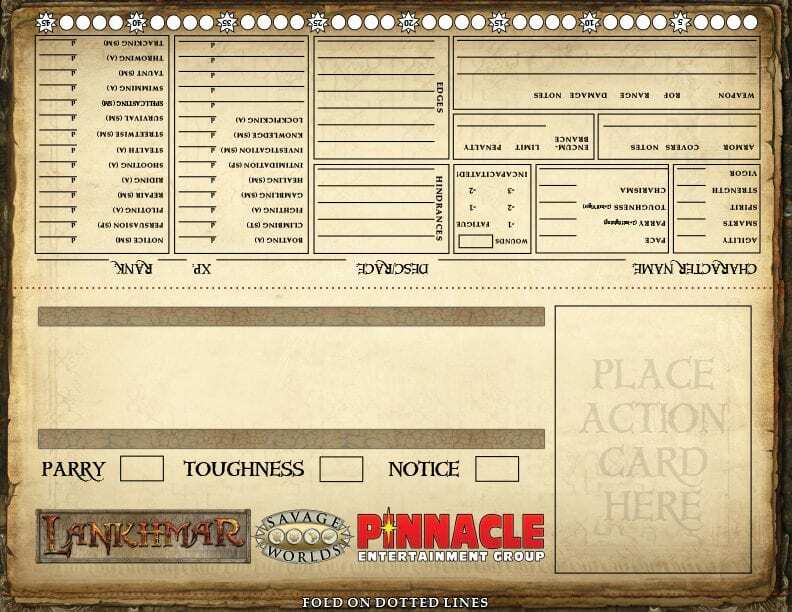 This free download gives you a form-fillable Table Tent style character sheet to print and use with The Savage World of Lankhmar! Popular for convention play and home use, this character sheet shows everyone at the table your character name, Parry, Toughness, Notice, and has space for an Action Card. 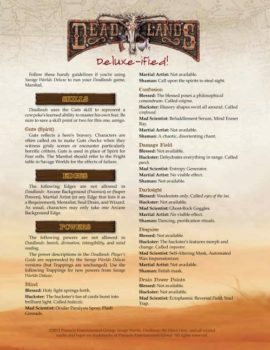 The player-facing side has all your stats for easy reference, and there’s room for more information on the inside of the Table Tent.